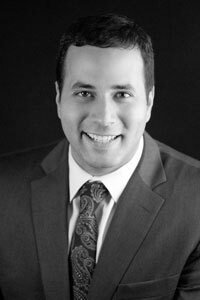 Jonathan T. Hoffman is a Partner and Managing Member who has been with The Firm since 2008, Jon focuses his practice on Real Estate Conveyances, Short Sales, Finance Restructuring, Civil Defense, Foreclosure Defense, Landlord / Tenant Disputes and Consultant work. The emphasis of his practice includes contract negotiation, debt resolution, loan work outs, mortgage modification and foreclosure prevention. Jonathan brings a new and fresh dynamic to the law firm. In 2001, he created JTTitle, LLC, a title abstract company, specializing in complex land title research and underwriting. During law school, he created a strategic alliance with a regional title company to continue operating JTTitle while pursuing his law degree. Prior to joining the Firm, Jonathan was a junior associate and clerk for the Corporate Counsel Division at John Hancock / Manulife, a leading financial services provider. He brings that large, corporate structuring and approach to the Firm’s intimate, personal appeal. Born in Stamford, Jonathan received his undergraduate degree from the University of North Carolina at Chapel Hill and his J.D. from New England Law School in Boston, Massachusetts. As a product of Fairfield County, Jonathan is an active member of the community and involves himself in various regional activities. He is currently a contributor to Habitat for Humanity, the Eye to Eye Organization, sits on the Board for the Irving Moorin Scholarship and is heavily involved with local youth sports. Jonathan currently resides in Stamford, Connecticut.